It's not uncommon for busy cities to have small colonies of stray and feral cats but most of those cat colonies go about their daily business with little to no human interaction or intervention, unless it's of the negative sort. However, for one Brooklyn, New York community that is definitely not the case. Flatbush Cats is an organization that serves the feral cat colonies in multiple ways. They spay, neuter, and release cats. They feed the cats. Most importantly, sometimes they are able to successfully rescue and adopt the cats! 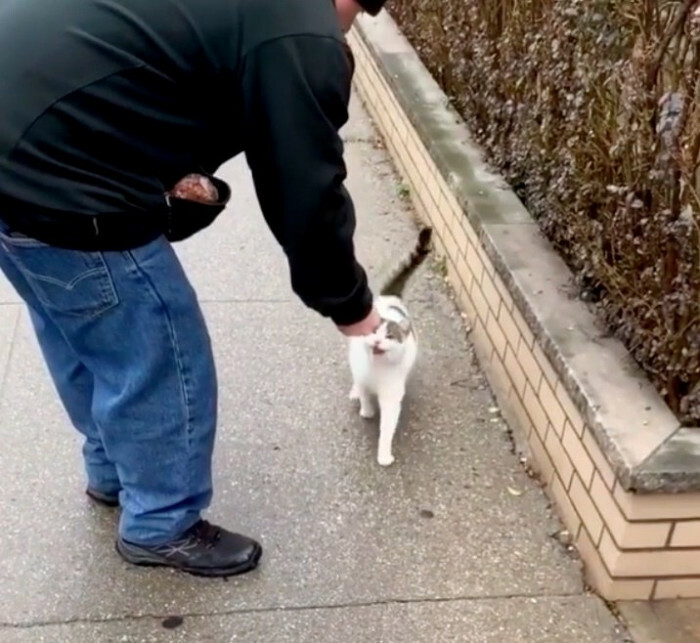 On a day that was mostly like any other, founder Will Zweigart joined a volunteer to feed 7 to 8 colonies of spayed and neutered feral cats in the area but quickly discovered it would be a special day instead. 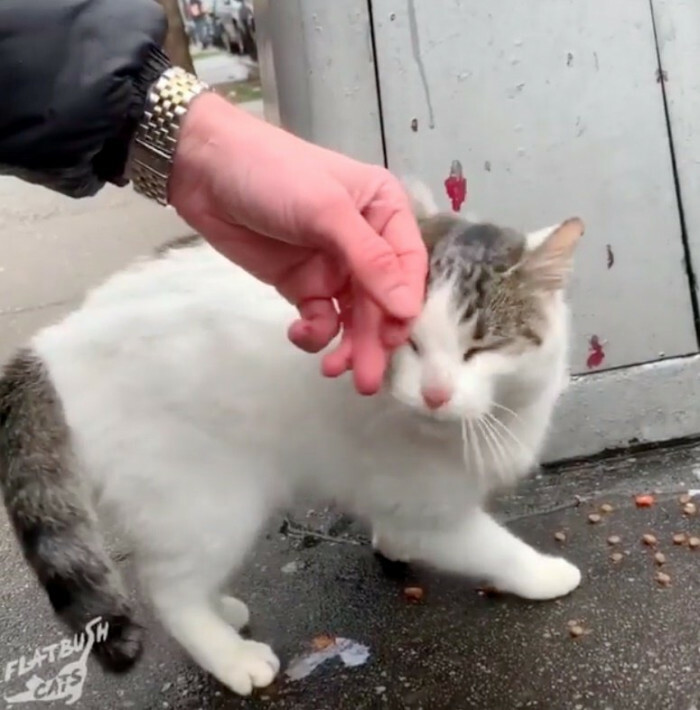 If we run into any friendly cats while feeding, we're then able to help get them off the streets and try to get them adopted into a loving home. In one particular colony a new cat had been roaming recently, according to neighbors, this friendly stray had been outside for several weeks, and in the winter cold had been scrounging for food and shelter, struggling to stay alive. Today as Will and the other volunteer approached their usual spot, she was waiting for them to arrive. 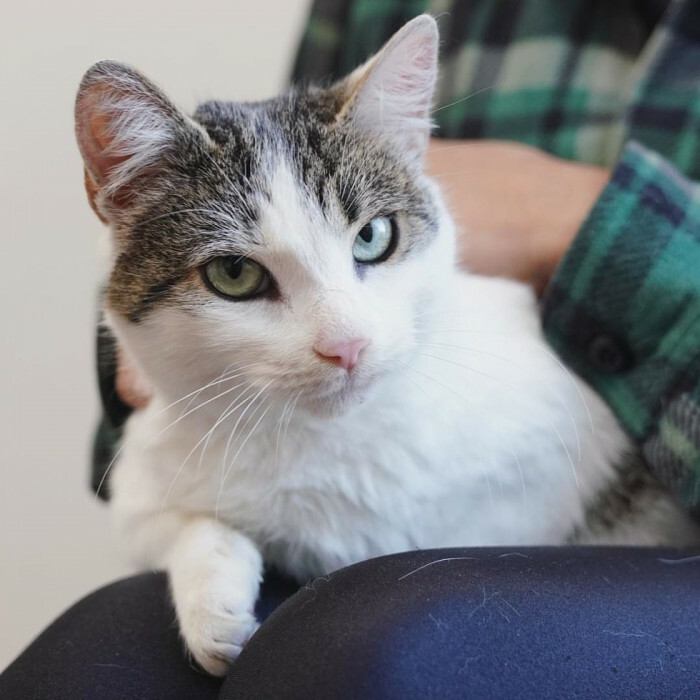 With absolutely zero hesitation, the sweet cat immediately rushed towards the volunteers and began rubbing against them, begging for pets and love. I could see her fur was dirty, which you usually see with abandoned or stray cats as they tend to groom less when very stressed. She had no collar and was starving, and it's currently below freezing in New York so I wanted to get her out of the January cold. Unfortunately it's very common in this area for cats to be dumped or abandoned outside. She ran up to our volunteer and was very talkative, and clearly wanted back inside. Cats can often be very scared and may not want to go into a carrier right away. Many have bad associations with carriers from vet trips, or if that's the last thing that happened when they were abandoned. Traps are a safe way to rescue and transport cats even if they're friendly. 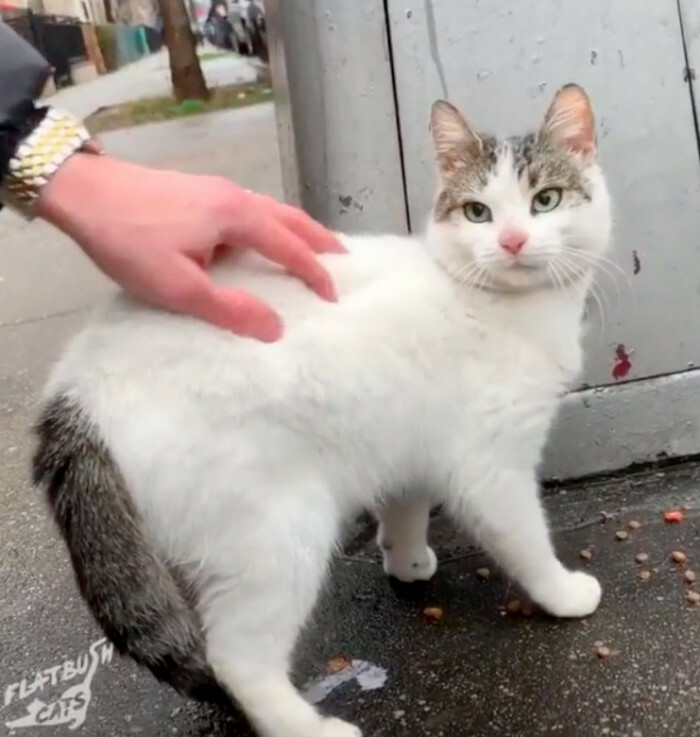 In this video shared by Flatbush and Love Meow, it is very clear that the kitty was so happy to see the volunteers and that she wasn't even a little scared of the trap. She walked right up to it and climbed in as if to say, "I'm ready to find my forever home!" 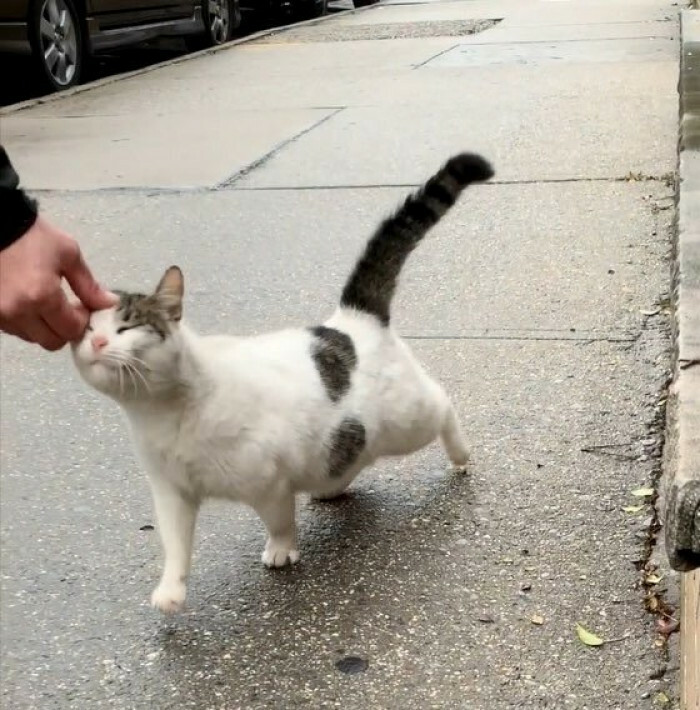 A few weeks of wandering the streets lonely, and this sweet cat had a new lease on life. Will named her Bun! She is a little shy of new people, but immediately begins purring loudly once she feels secure. She started making biscuits, rolling around and playing with a catnip toy that we had sitting nearby. She's currently relaxing with one of our foster volunteers. Our next step is to get her medical care including spay, vaccination and de-worming treatment. Once she's all set there, we'll be listing her for adoption! 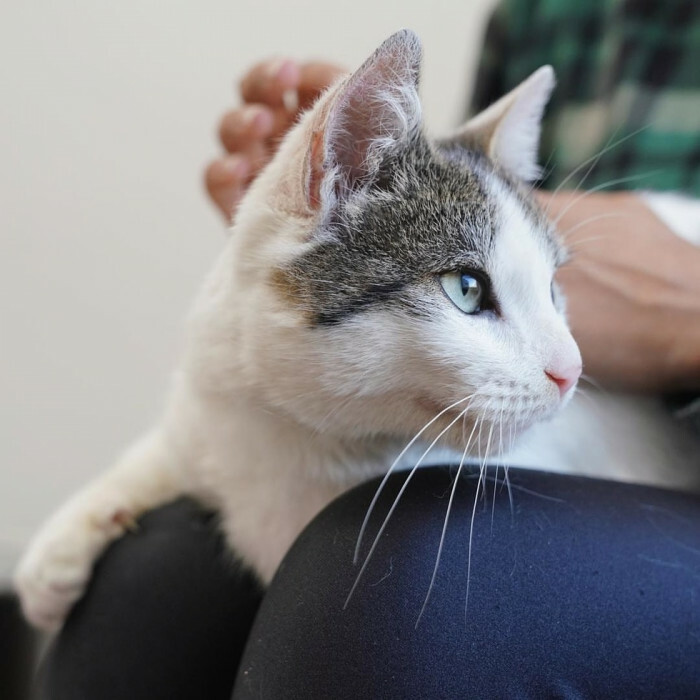 Our goal is to make sure every cat in our neighborhood is spayed or neutered, which helps to prevent more cats from showing up at the city's overcrowded shelters. We do that by fixing all of the community cats through trap, neuter, return (TNR), and then working with local volunteers to make sure the feral and street cats that we've fixed are fed. 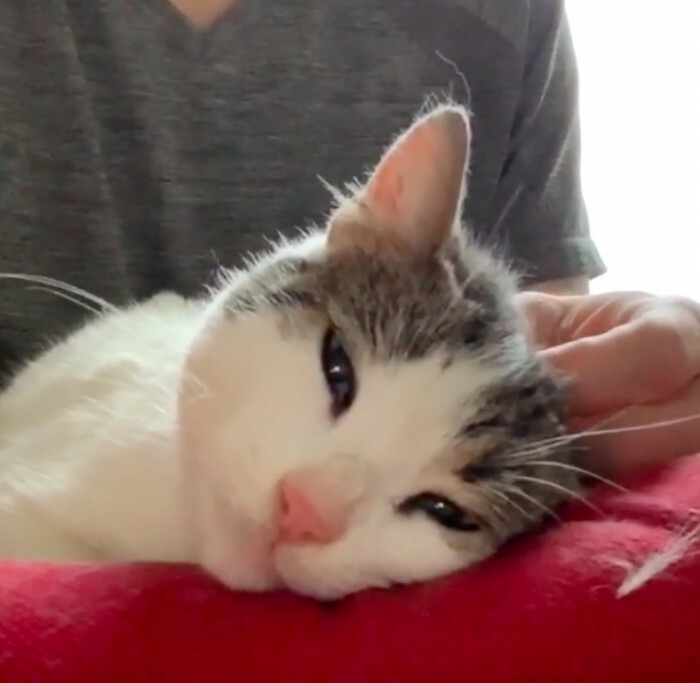 Bun is still living in a lap of love and luxury, purring her days away in her foster home but we are positive that it won't be hard to find a forever home for a sweet girl like her! You can follow updates on Flatbush Cats and Bun on their Instagram!